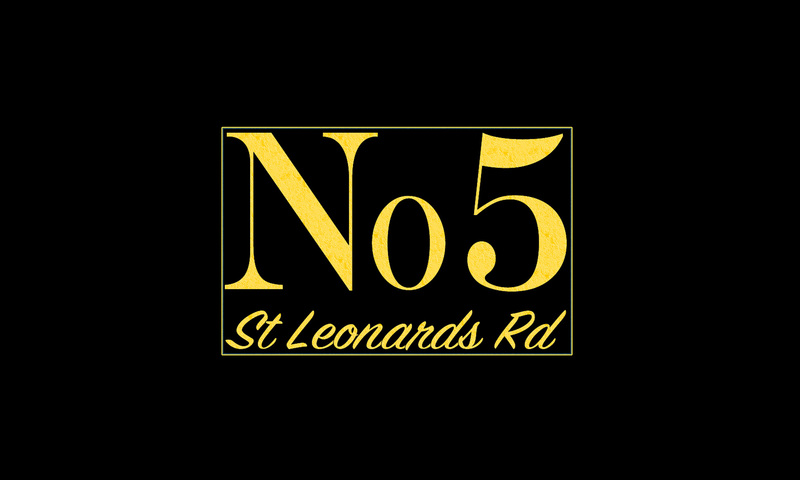 No5 St Leonards Road – Windsor's best kept secret Champagne bar! Windsor's best kept secret Champagne bar! Welcome to No 5 St Leonards Road! We are a boutique Champagne & Cocktail Lounge situated in the heart of Windsor. The venue is open Wednesday to Saturday and Bank Holiday Sundays with Mondays, Tuesdays and regular Sundays as private hire nights (although you can book us for private hire and parties on any night!). You can keep in touch with all the goings on via our Facebook page or our Twitter feed.